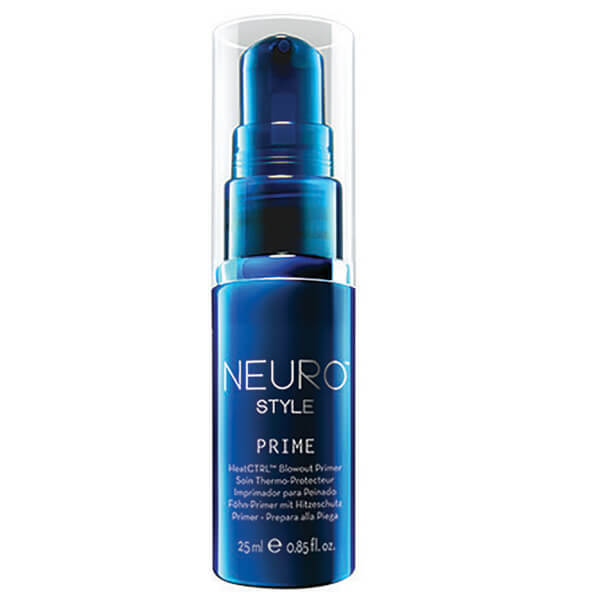 Prepare hair for styling with Paul Mitchell Neuro Prime HeatCTRL™ Blowout Primer; a lightweight, non-greasy formula that delivers advanced thermal protection to protect strands from heat damage. Powered by breakthrough HeatCTRL™ technology, the hair primer helps to reduce the rate of heat transfer from roots to ends when using styling tools. Simply apply to clean, damp hair to achieve a sleek, smooth finish with salon-worthy shine. Apply a small amount to clean, damp hair and blow-dry. Style as desired. For best results, use with the complete Neuro system.